Cose to Orlando's CBD, this privately developed office center has been designed to meet environmental sustainability standards (LEED certified), and features floor-to-ceiling windows on all levels. Nearby are upscale shopping boutiques, restaurants and residential apartments.The regional transport links are also fantastic and offer numerous convenient travel options, making this center easily accessible from anywhere in the locality. This fully furnished office is perfect for those companies looking for a quiet area to host clients, while also being presented with a business professional setting. Flexible terms provide businesses with the opportunity to find the best option for them. Provides easy access to local airports, restaurants and shopping center. Premium center in East Orlando, quietly located within an hour of the beach. This center is a unique and modern coworking and private office option. With modern designs and colors, work won't feel the same. The fully equipped amenities with meeting rooms, conference rooms, high speed wifi, administrative support and on-site management team to take care of all of your business needs. The center is located on Lake Eola next to many fine dining and perfect places for team outings. This exquisite and contemporary business center is set in a prominent location with great networking potential with access to successful businesses, Orlando residents and a large number of tourists. Just seconds off I-4 with easy access to major expressways. Amenities include on-site banking, internet, office equipment, furnished offices and conference rooms. Conveniently close to theme parks, shops and restaurants. This business centre is set in a low-rise building on a renowned commercial development. Just minutes from Orlando International airport, and with easy access via Highway 417, this modern building boasts light, spacious office accommodation which overlooks a pleasant mature landscape. This center, on Millenia Lakes Business Park, is located on the first floor of a class A building. The center has modern office space available with ample parking facilities. It is ideally located within Orlando, close to stores, hotels and restaurants. The center can be easily accessed via the I-4. Situated just outside Orlando, this premium business center provides comprehensive facilities including reception services. It is close to the airport and easily accessible by road. This modern center provides a range of executive office suites to meet client requirements. Ideally suited a short drive from Orlando airport, and close to a variety of eateries, banks and retail, this business center boasts friendly staff and a professional atmosphere. With easy access to the 408 and downtown Orlando these furnished and unfurnished office suites are ideally located in a sought-after area. There is 24-hour access, free parking, virtual office services and state-of-the-art conference rooms on-site. The regional transport links are also excellent and provide all prospective occupying tenants with a range of convenient travel options in operation throughout the area. Luxurious building with an endless array of services and amenities to choose from. Highly desirable location with top of the line technology. An assortment of offices to meet your business needs. Conveniently located near many attractions and major hotel chains with easy access to the Orlando International airport. Just 25 minutes from Orlando International Airport within a prestigious tower in downtown, this professional office space provides stunning views over the city while a fantastic range of on-site amenities are available including a fully equipped fitness center and a deli. The regional transport links are also excellent, with an extensive selection of convenient and frequent services in operation across road and rail networks. Highly desired business address in historic downtown Orlando. Within walking distance of an array of entertainment with easy access to major expressways. Virtual offices and part-time offices available. 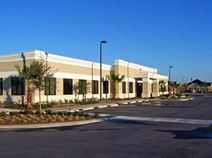 Services include fully equipped, furnished offices and meeting rooms with access to another location in Orlando. State of the art business centre with ready to use technology and office equipment. Large and small conference rooms to meet your business needs. Major hotel chains and a variety of entertainment within minutes’. This is a highly convenient location offering easy access to two major central Florida roadways and close to many dining choices. These offices include reception services as well as a whole host of other amenities. This location prides itself on separating itself from the competition by offering first class amenities and a thriving work environment. This center's main focus is to help your office succeed and produce growth. Amenities include an on-site management team that provides your company with the support it needs to grow. Located in downtown Orlando near many transportation stations, restaurants and activities. This exquisitely furnished and highly prestigious business center location offers a wide range of the very highest quality and state of the art corporate facilities and professional services, offering prospective tenants the opportunity to benefit from the on-site provisions that include spacious meeting rooms, high speed internet connections and comfortable, contemporary breakout space provided as standard on flexible terms. 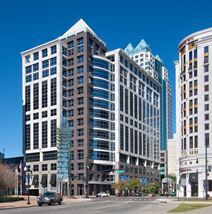 Newly built luxury building with gorgeous offices offering scenic views of downtown Orlando. A variety of office sizes to meet your business needs. Magnificent interiors with access to modern conference rooms and a number of complimentary services right at your finger tips. Convenient access to high end shops, restaurants and entertainment. Minutes’ to Orlando’s International airport. Just a short drive from downtown and the Orlando International Airport, this new executive suite is housed within a recently remodelled building that offers tenants access to fully furnished office space and meeting rooms. The regional transport links are also excellent and provide all tenants with an exceptionally wide range of convenient and frequent services in operation throughout the locality's extensive road and rail networks. 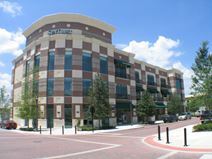 Executive office space located in the vicinity of downtown Orlando. Renowned location with excellent growth opportunities. Beautiful interiors with full professional staff, elegant furnished suites with windows in every office. Great location near shops, restaurants, lodging and amusement parks! The regional transport links are also excellent and allow all clients and visitors to easily access the building. Within walking distance of a range of restaurants, bars and several other businesses this business centre provides inspiring and flexible co-working office space ideal for start-ups, freelancers, and entrepreneurs in need of bright and open space in the heart of Downtown Orlando. The regional transport links are also excellent and offer a number of convenient and frequent services in operation throughout the region. Situated in the very heart of the Medial City development these superb, modern and flexible executive suites and co-working spaces are just 10 minutes from Orlando International Airport, making the site easily accessible for both occupying tenants and visitors to the building. Also only 20 minutes from Disneyworld making it a great way to treat clients or get some work done while on family vacation. Office space in business complex with full services tailored to your business needs. Friendly staff, latest technology with virtual offices available. Located in visually appealing area with easy access to I-4. Minutes from downtown Orlando within the Orlando Central Center business park, this center provides newly fully furnished workspace in a variety of sizes to suit a range of businesses. Flexible leases mean that upgrading or downsizing is an option at any time. Three meeting room options are also available equipped with the latest in presentation technologies. A host of virtual office programs are also offered from simple mail forwarding to professional call-answering in the name of the business with free call transfer.